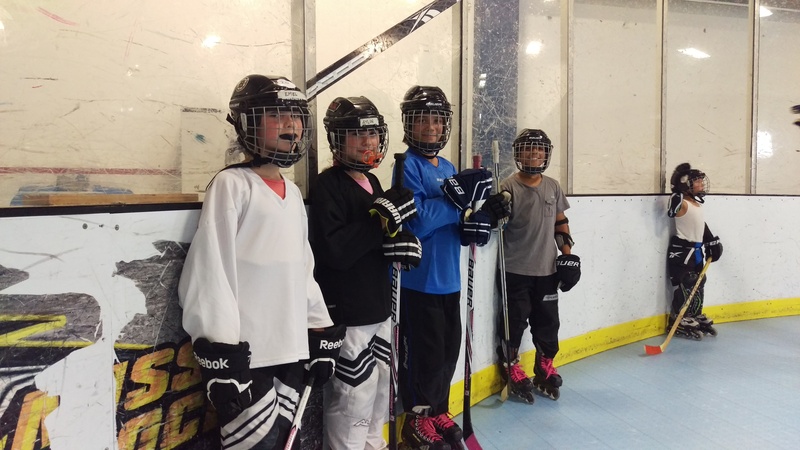 Do you your kids want to learn how to skate like a hockey player and play hockey? If so, they will definitely enjoy these Learn to Play sessions! Our coaching staff will have the kids doing skating and stick handling drills. The sessions are light and really fun. They are also FREE! It’s not a problem if your kids haven’t had any prior experience with hockey. They should have basic inline skating skills though. Which means they should be somewhat comfortable skating forwards and changing directions with inline skates. Equipment is not an issue. We have an equipment closet loaded with all the gear that they kids will need to enjoy the session. Here’s the best part. We’ll loan it to them for FREE for the Learn to Play session. So once again, if the kids don’t have any hockey gear, no problem. We have skates, helmets, sticks, … everything. Just be sure to show up about 30 minutes before the session kicks off with your kids so that we have time to fit them properly with everything. You’ll also need some time to to help them get the equipment on.